Feel the wind on your face, let the sound of the waves soothe your mind, taste the sea air, a new horizon awaits you… Hold the tiller in your hand, take control, let the wind fill your sails and blow your worries away. 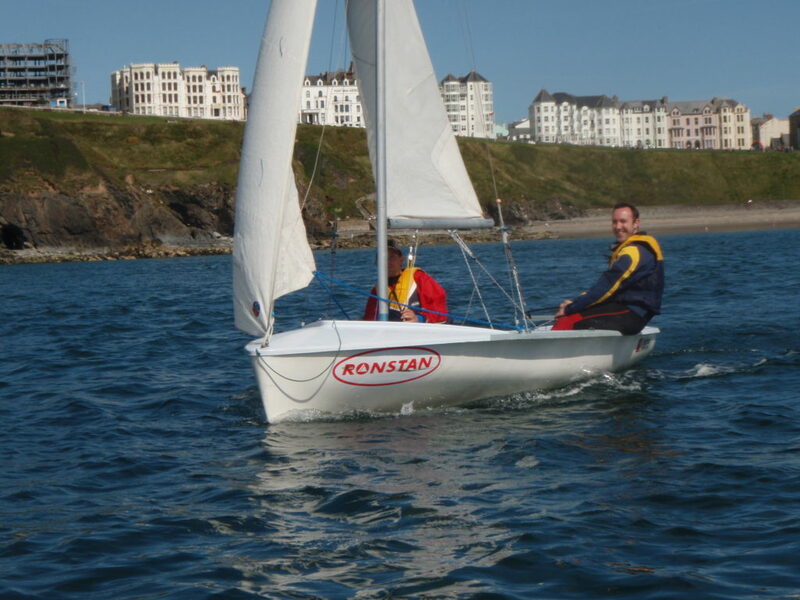 Experience the fun of dinghy sailing with a Taster Session. With an instructor on board to show you the ropes, before you take the helm for the first time, our Taster Sessions are the perfect way to get started. Sessions are 1.5 hours duration and cost £49 per person for one-to-one tuition, £29 per person for groups of 2 or more. All prices include VAT and hire of all equipment required including wetsuit and buoyancy aid. By the end of this two day course the instructor will leave you at the helm and in complete command of your own sailing dinghy. You will be able to rig, launch, sail yourself around the bay and get back to the beach again. You can consider yourself a competent sailor in favourable conditions. Come back to hone your skills, refine technique to sail faster and discover some fundamental seamanship skills too. At the end of this two-day course you will comfortable sailing in moderate breeze, able to sail efficiently round a triangular course, pick up a man-overboard dummy and recover from a capsize. All courses are two days in duration and run from 10am to 5pm each day. Course fee is £239 per person including VAT and hire of equipment, we provide wetsuits and buoyancy aids. Additional dates can be arranged, please contact us. Our safety boats are on the water at all times during hire and our instructors are on hand to offer advice on the conditions and to help you rig, launch and recover.